Our ophthalmologist at San Bernardino Eye Specialists performs cataract surgery so if you have cataracts, you can be scheduled to have the procedure done same day and wont be referred to another doctor. The question is, what is a cataract? Cataract surgery is the most common surgery done in America and generally has a very low complication rate. 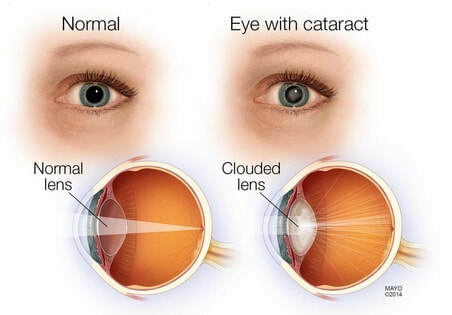 You should ask your doctor about cataract surgery if your vision has been deteriorating and glasses do not seem to help.​ Here at San Bernardino Eye Specialists, we offer laser or femtosecond cataract surgery, standard intraocular lenses, multifocal lenses (ReSTOR, Symfony, Tecnis Multifocal) and toric lenses (Acrysof, Tecnis Toric).